Sign -up today for your preferred assignment and shift. 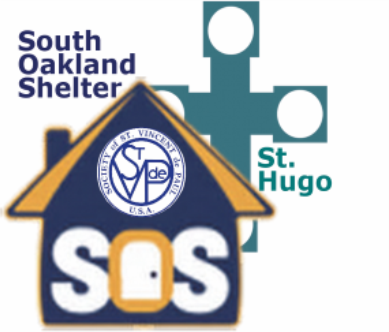 Click to download the SOS Volunteer Information Flyer as it contains details about opportunities to donate or volunteer and the shift days and times. St. Vincent de Paul’s national vehicle donation program consistently provides the highest possible return for vehicle donations, an average of nearly 80 percent for each vehicle. Thank you for choosing to donate your car to help us help our neighbors in need! For further questions, contact Shelly Robertson, at (313) 393-2909 or by email at srobertson@svdpdetroit.org. Society of St. Vincent de Paul is one of the world's largest charitable organizations. It offers person-to-person service to those in need in 150 countries on five continents. The U.S. headquarters are located in St. Louis, Mo., and the United States' membership totals more than 160,000. If you are in need of assistance, please call the SVDP phone line at 248-283-2204 and leave a phone message with a time that we can call you back. As members of SVDP, we put our faith into action. The Vincentian vocation is the intimate desire to participate personally and directly in helping the needy by person-to-person contact and by the gift of one’s heart and friendship, doing so within the communal spirit of a Conference of lay persons each inspired by the same vocation…the call of personal service to those in need. 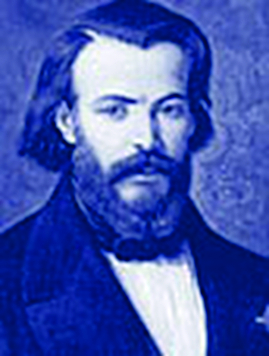 In 1833, Frédéric Ozanam, a young Sorbonne student, often met regularly with his fellow Catholic students to discuss the issues of the day in Paris France. At one of their public meetings, a challenger admitted that the Catholic Church, at one time, had been a great source of good, but asked, "What is your Church doing now?... Show us your works and we will believe you." Unable to respond, Frédéric and his friends conceded. Yet, this question weighed heavily upon Frédéric. Very shortly afterwards, Frédéric and six friends were inspired to create the Conference of Charity, with the purpose of serving the poor of Paris. These young founders decided that no act of charity would be foreign to their organization. For people in need, the Conference members provided food, clothing, shelter and financial and spiritual assistance as well as tutoring programs and libraries. Under the guidance of Sr. Rosalie Rendu, a Daughter of Charity who was often seen caring for the poor in the streets of Paris, Frédéric impressed upon the Conference members the need and importance of offering the kindness, respect and compassion of God to the people they visited. In his view, this was as important as the food or clothing they brought with them. 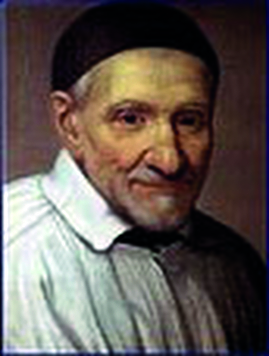 Frédéric chose the 17th-century priest St. Vincent de Paul, known as the Apostle of Charity, as patron of the Conference. Subsequently, the Conference of Charity was renamed the Society of St. Vincent de Paul. Frédéric's faith was very important to him and it guided him throughout his life. He was known to be a very humble and compassionate man. These traits enabled him to successfully assist many people in need and laid the foundation for the Society to spread throughout the world. As the Society grew, its members established volunteer groups in parishes. These groups became known as Conferences. The Society started in the United States in 1845 in St. Louis, Missouri. The St. Hugo SVDP Conference meets on the first and third Tuesday evenings of each month at 7PM in the Parish Library. Look to the Parish Calendar posted in the bulletin OR call the Parish Office to confirm.